We founded the “Albert Netter” European School of Obstetrics and Gynecology (ESOG) with the purpose of offering professional development through high-level training in Obstetrics and Gynecology“. 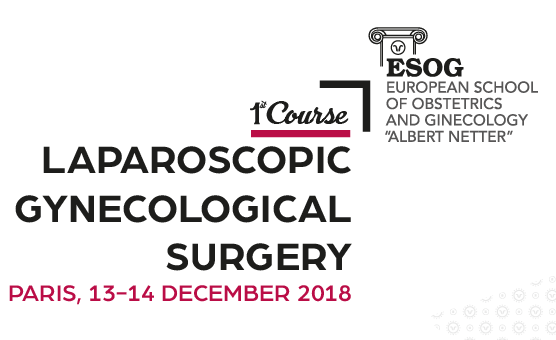 In 2018 the European Society of Gynecology founded the “Albert Netter” European School of Obstetrics and Gynecology (ESOG) with the purpose of offering professional development through high-level training in Obstetrics and Gynecology. The core aim of the School is to support students and professionals in these fields offering an inspiring and relevant program of courses which respond directly to specific needs on all aspects of gynecology, obstetrics and reproductive organs medicine. All our educational programs are submitted to the European Accreditation Council for Continuing Medical Education (EACCME®) for evaluation and accreditation. CME accreditation granted by the UEMS-EACCME® provides our participants a number of credits recognized in their home country.